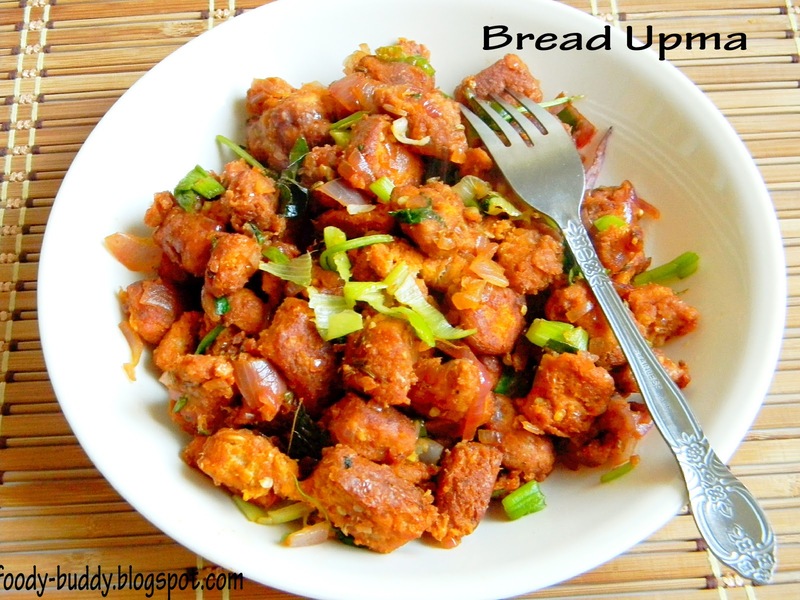 Bread upma is a popular breakfast dish which can be done in 15-20 mins. This simple and delicious upma is made with bread, onion, tomato and spices. It goes well with onion raita or a cup of coffee or tea. Cut the whole wheat bread into a small slices. Keep this aside. Heat a pan with ghee, roast the bread until they get crisp and golden brown. Turn off the stove. Heat a pan with oil, add clove, cinnamon, bay leaf, curry leaves, fennel seeds, fry until it turns color and aromatic. Add onion, green chillies. Fry until it changes color. Take pan away from the stove, add turmeric powder, chilly powder. Fry for a min. Keep pan back to the stove, add ginger onion garlic paste, fry for 1-2 mins until raw smell vanishes. Add Tomato puree, little water and garam masala, fry for 1-2 mins until oil separates. Add bread pieces to the tomato sauce and saute well so that the bread absorbs all the sauce. Garnish it with cilantro and chopped green onions. 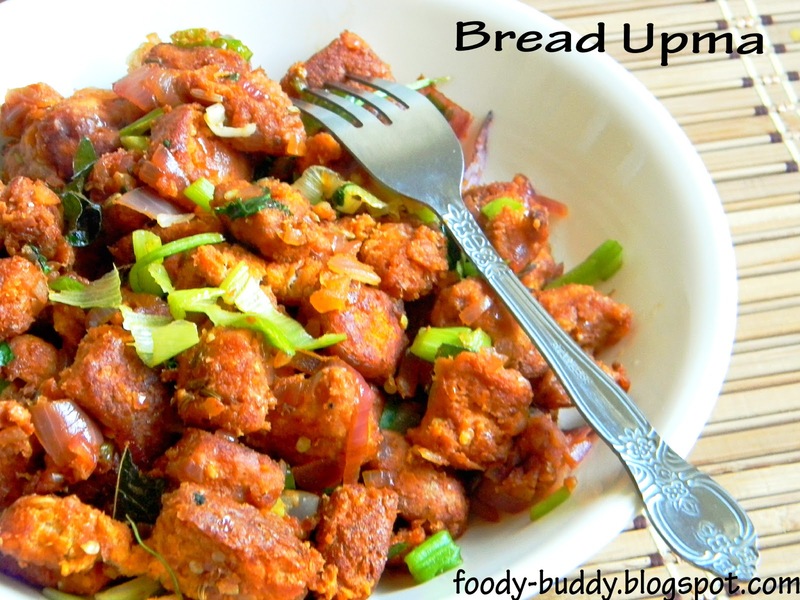 Hot bread upma is ready to serve. You can also add lemon juice, for extra tanginess. Wheat bread are rich in dietary fiber. Provides longing lasting fullness to the stomach.